I love the SSD series and hope they will come back with more. They are one of the best shows that Hallmark has produced. Hoping to see more for this series. It is one of the best produced shows on Hallmark. I am hoping to see more SSD as these 4 actors are great & every episode is fun & inspiring. My husband and I absolutely love the Signed Sealed and Delivered movies. They are some of the most entertaining movies ever. We find them inspirational and heart warming. They are good family films and have great life lessons. Please continue to make films in this series. My husband is a pastor and we have our entire congregation and family members watching them. Thank you Hallmark. The actors in the Singed Sealed and Delivered movies are amazing and have a realistic chemistry on screen. Come on Hallmark, these are your best! We need a ShOliver wedding! And it would be great to see both couples with a baby or two. Please bring the show back, Hallmark! I hope to see more Signed,Sealed,Delivered movies. I loved all them and hope the continue. 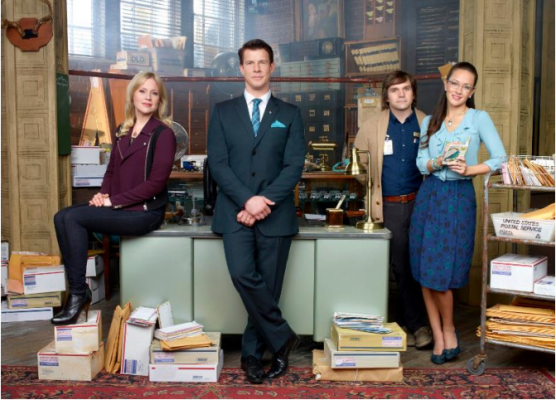 Hoping to see new shows for Signed, Sealed Delivered in 2019. Have watched since the first show came on. Hoping to see more signed sealed delivered shows. I have watched ever since the first show. Hoping to see new ones soon. things going rfight, and the inevitble DLO item getting to it’s intended destination. Love Hallmark TV, my favorite is Signed Sealed Delivered. I truly hope they continue the series. I don’t have a favorite in the series as they are all wonderful. There is no better TV anywhere. My wife and I live for the next movie. All the characters are wonderful,but I guess Rita is our favorite. I absolutely ADORE this series! All the characters are warm, caring individuals that each bring something special to the show. Please keep bringing this show back! The world NEEDS this show and many more like it! It’s a safe, non-violent, funny and adventuresome show that I look forward to. There’s so few shows, outside this and When calls the heart that every age can watch and know that they don’t have to switch channels but can look forward to the next show with anticipation! Please bring it back season after season! Thank You! Hoping the show will continue for a long time. It’s wholesome, funny and emotional. I love it and look forward to more seasons and episodes. Love the show. Always anxious for the next week show. Hope it keeps going for a long time. Look, signed sealed and delivered is one of the most heartwarming intelligent shows on TV today. Hallmark it’s a no-brainer bring it back.